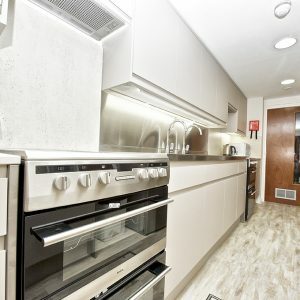 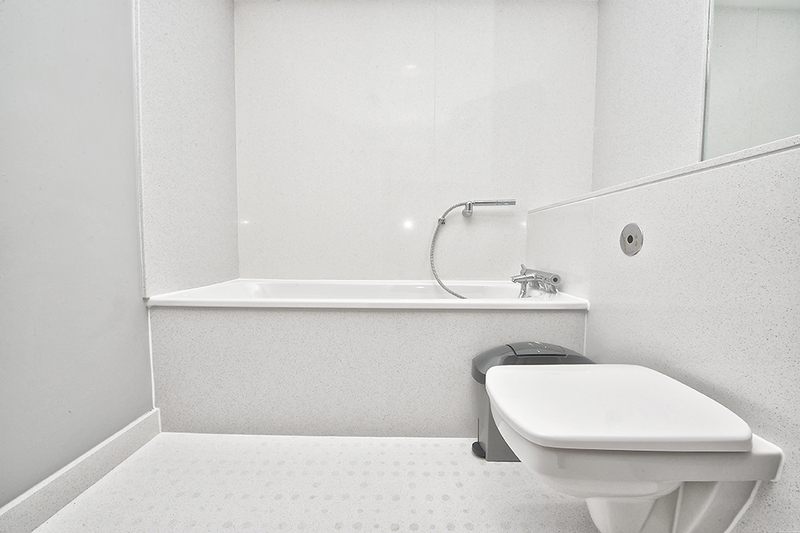 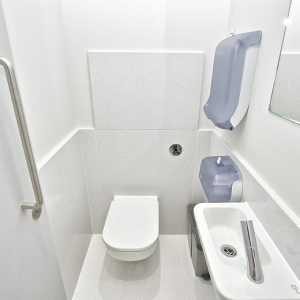 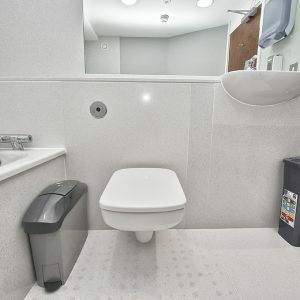 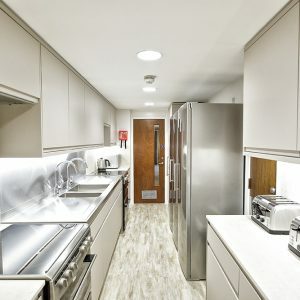 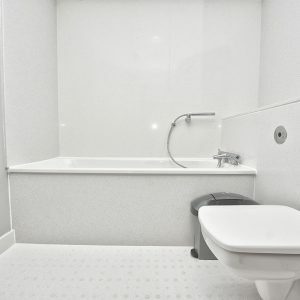 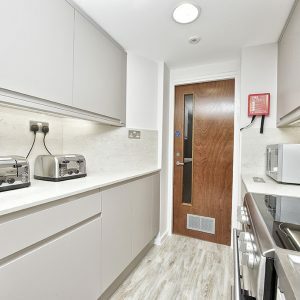 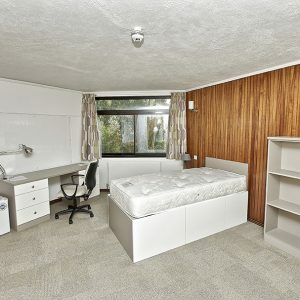 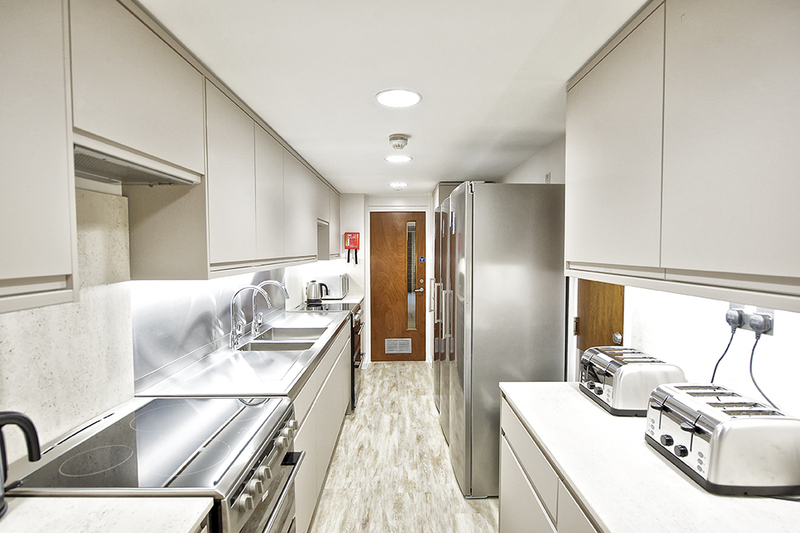 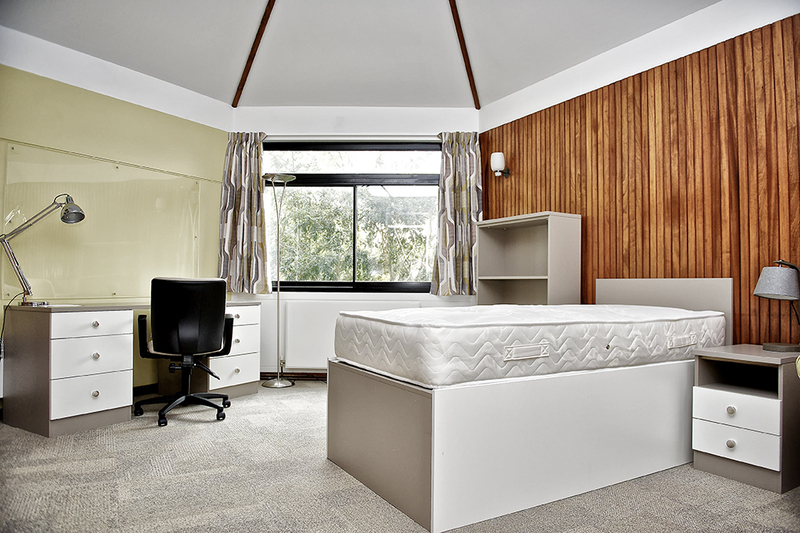 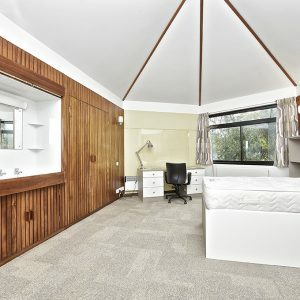 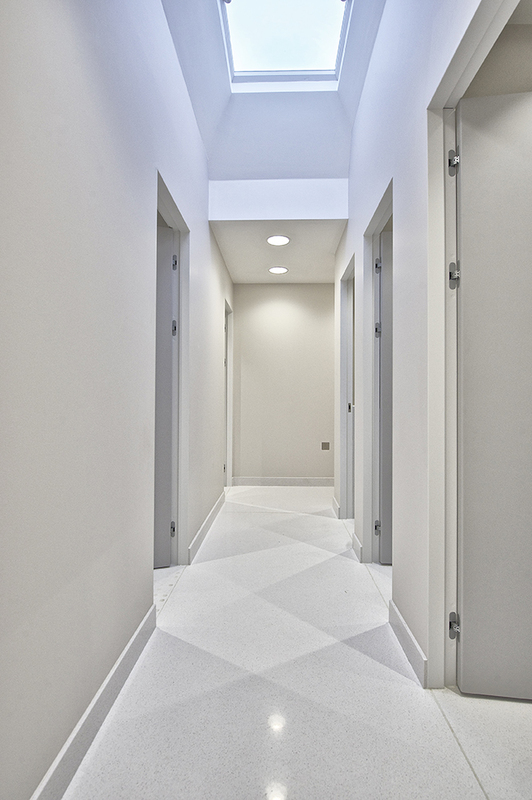 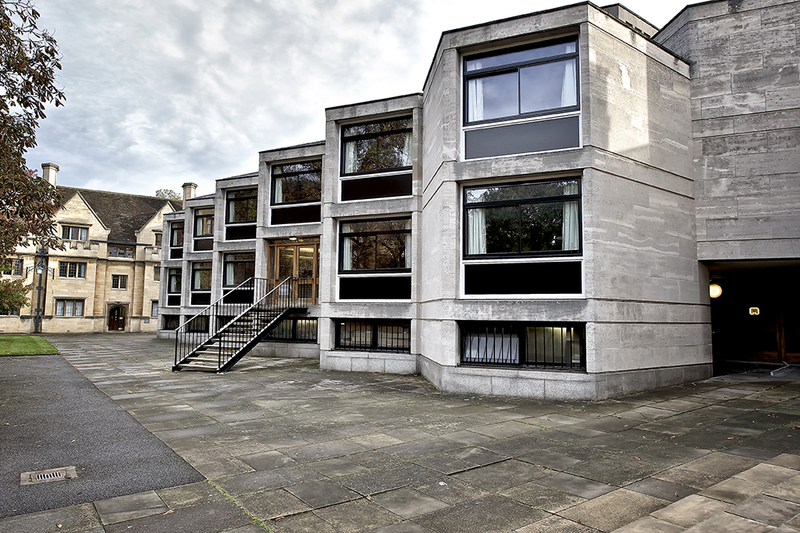 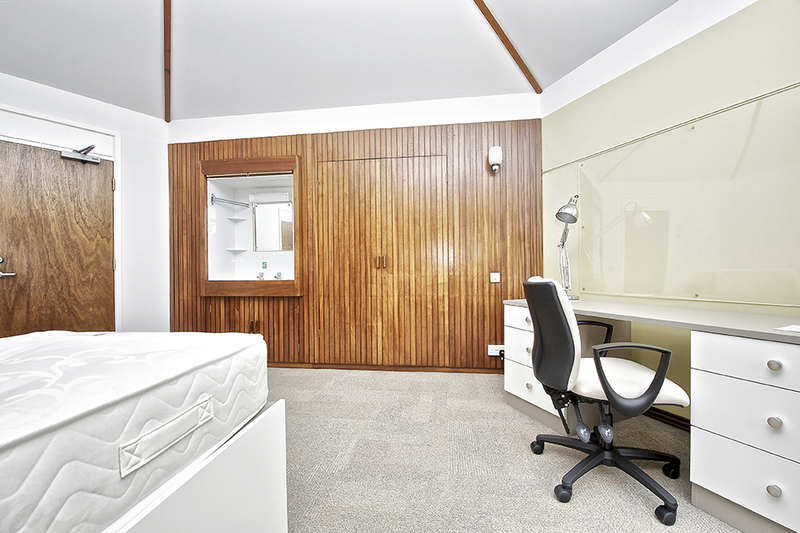 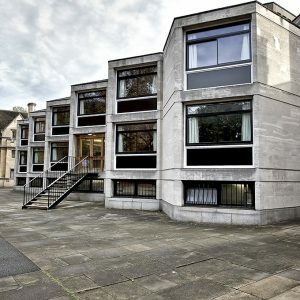 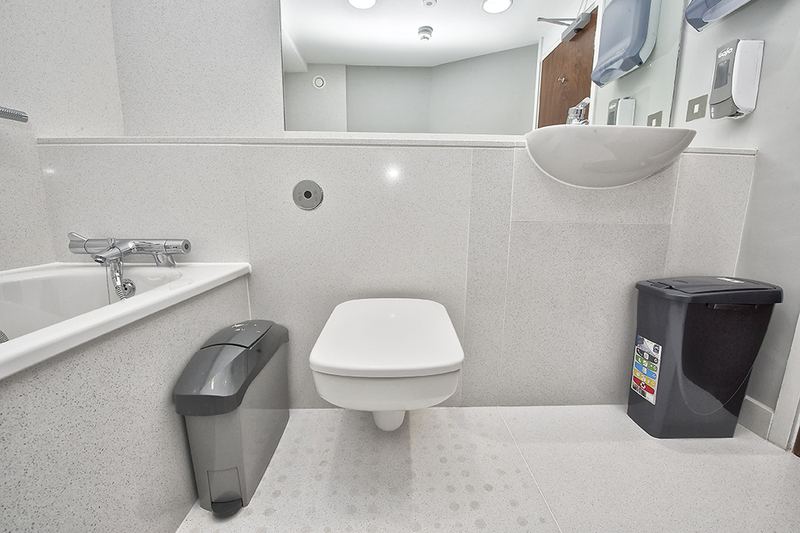 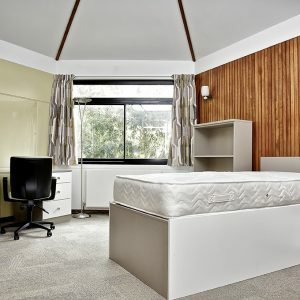 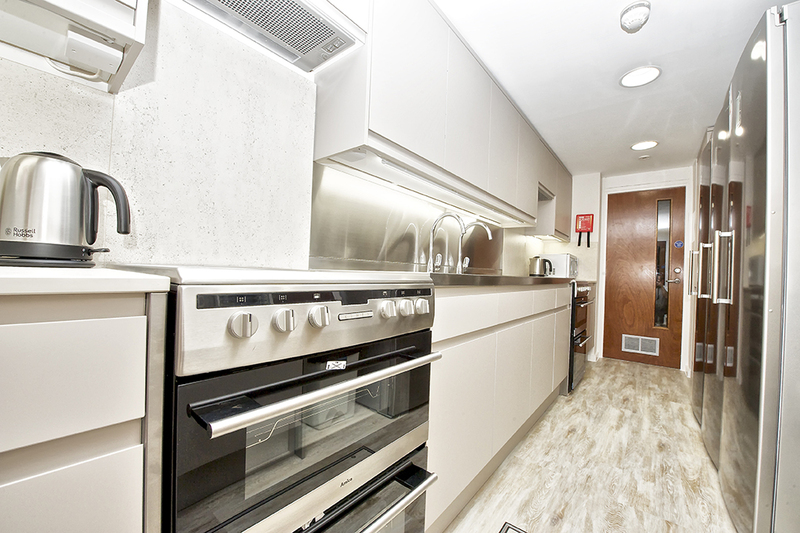 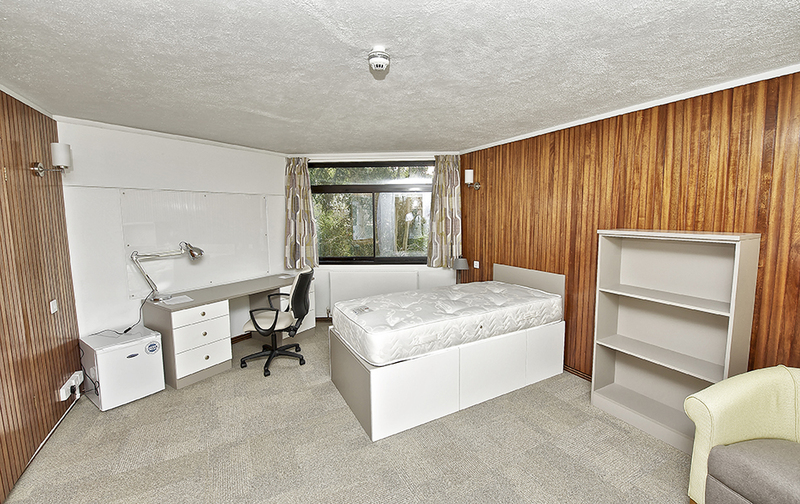 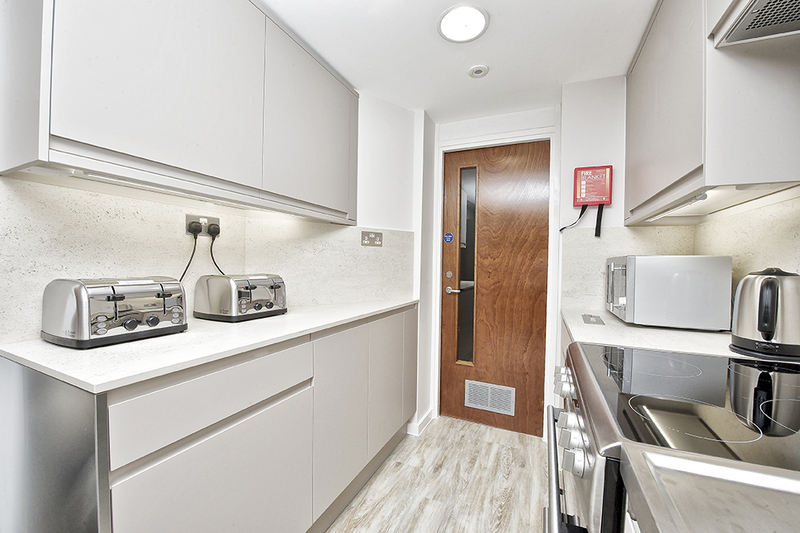 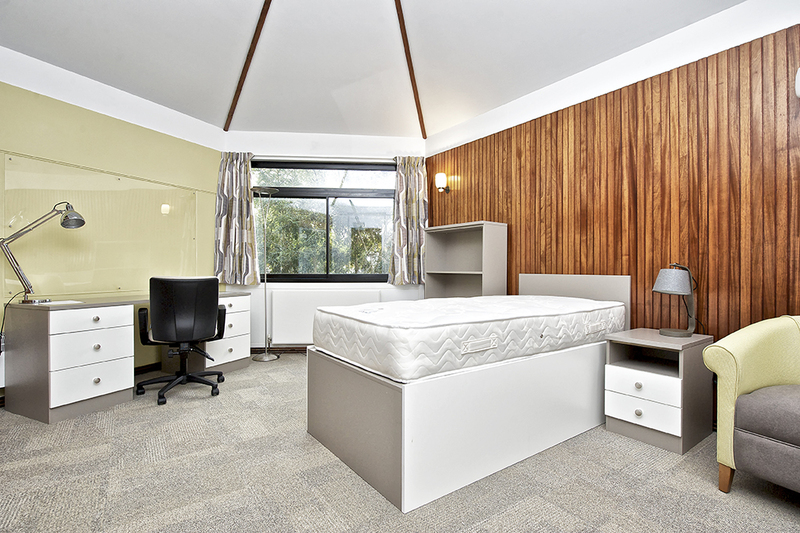 The project consisted of a comprehensive refurbishment of a 35-bedroom student accommodation block, with two communal shower areas, one bathroom, a kitchen and the creation of an en-suite room. 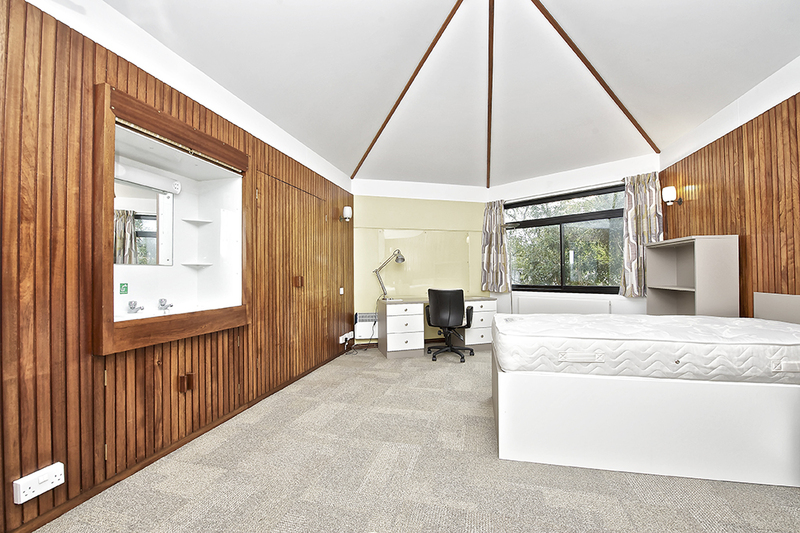 This project was undertaken and completed within a 12 week summer period in order to meet the new term dates and student arrivals. 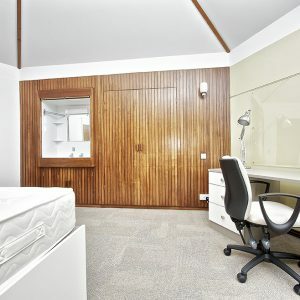 The project involved specialist refinishing of existing hardwood panelling in each room by French polishing. 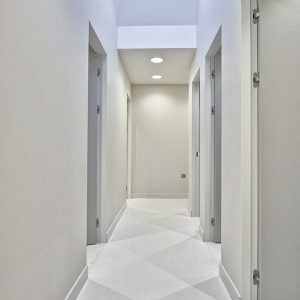 Careful coordination of a number of specialist trades was required, such as the bespoke stonework cladding to walls, in order to successfully form the high level finish to the shower areas in particular. 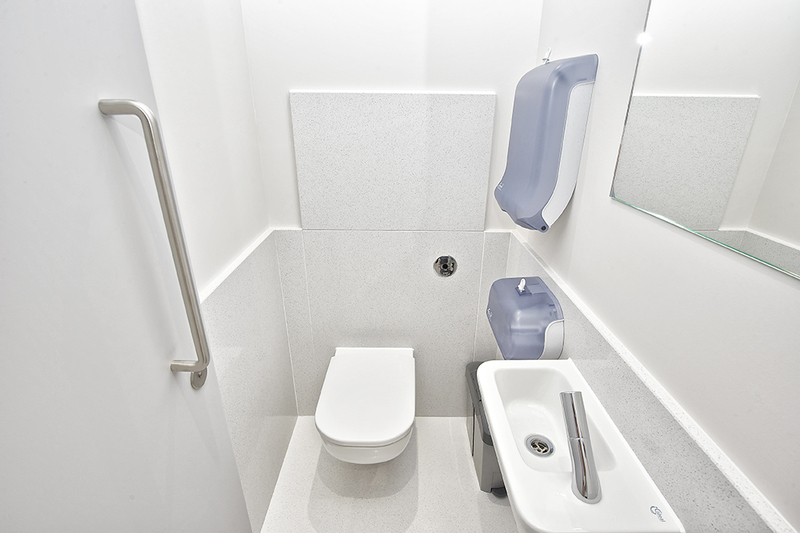 Planning and organisation was key to the success of this project, which enabled us to meet the project deadlines.